There are many sites to see and things to do in Jacksonville, FL. This is a place where the weather is always nice, for the most part. And, because of this, you can do many things outdoors as well as inside. Let’s take a look at some of the various options to the amazing Jacksonville, Florida city. Jacksonville Zoo and Gardens has a huge variety of amazing animals, 2000, and 100 exotic plant species. There are award-winning exhibits such as the Giraffe Overlook, Range of Jaguar and the Savanna Blooms garden. Other great exhibits are the “Plains of East Africa” which highlight the African savanna animals and the “Australian Outback” is yet another great site to see. This unique walking safari adventure is surely something that is on the list of top things to do in Jacksonville, Florida. Looking for fun things to do outdoors? The Little Talbot Island State Park is a pristine and relaxing area of Jacksonville. The beaches and marshes are home to many species of wildlife as well. It’s a great place to visit if you are into hiking, outdoor activities, beachcombing, fishing, and surfing. And, there is a campground that is located on the easter salt marches of Myrtle Creek. There you can rent kayaks and they offer a guided paddle tour. Theatre Jacksonville is one of the oldest running community theatres in the US today. It is volunteer-based and located in the neighborhood of San Marco. It offers a variety of productions throughout the year and has workshops for children. They also have summer camps that kids can attend to learn more about the Theatre world. 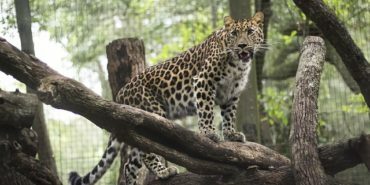 This amazing place is actually a rescue for big cats such as lions, tigers, cougars, bobcats, and leopards. They have a few coatimundis and foxes as well which are called their “Honorary cats”. This amazing place offers guided tours both in the morning and at night. The one at night is when they feed these cats. They are dedicated to teaching about these great animals and what their natural habits are. This is an ornate resort from the 1920s that has been beautifully restored and there are no fees to visit. There was a fort built there in 1736 that was used to defend Georgia when it was a colony. Today, you can visit the island for free and enjoy hiking, fishing, boating, and off-road bicycling. They have guided tours via Segway that takes about 1.5-2 hours. This is a great place to visit and see the historic buildings as well as amazing wildlife. And, there are just so many more places to visit and see in Jacksonville Florida. From the amazing parks, museums, historic sites and more. And, don’t forget this is a great cultural hub with amazing shows and concerts as well. And, if you just can’t come up with anything, there is always an amazing ocean Jacksonville beach. Prime Roofing is a team of highly specialized roofing contractors that have been protecting Jacksonville’s homes from roof-related leaks and damages for over a decade now. We love Jacksonville, Florida and want to share our appreciation with this post about our top things to do here. Prime Roofing is located on 13725 BEACH BLVD, SUITE 13 JACKSONVILLE, FL 32224 and serves the entire Jacksonville area – including Jacksonville Beach, Atlantic Beach, Neptune Beach, Ponte Vedra Beach, Mandarin, Saint Johns, and Saint Augustine.